This post is dedicated to how much time we spent on our mats PRACTICING yoga. It's probably pretty obvious - we did yoga every day during YTT! For most of the 4 week intensive program I participated in at Kindness Yoga, we started each day with 60 to 90 minutes. A lot of days the theme of the practice we had in the morning was used as a jumping off point for the lessons we would learn later that day. For example, one morning we used straps to stretch our hamstrings, and then later that afternoon practiced with straps, and reviewed best practices for how to use them properly and safely. Another morning, we learned a breathing technique called Nadi Shodhana Pranayama or “alternative nostril breathing”. That afternoon we learned about other breathing techniques you can include in your classes to warm up your students. The yoga itself was really nice and turned out to be one of my favorite parts of the training and of each day. (Surprising, I know.) I loved going there and waking up with a class by Jack or Ellen. One of my personal breakthroughs in YTT was with crow pose. When learning about this pose it was suggested to place 4 blocks in front of your nose as a safety net. I didn’t realize until I did this that part of my issue with crow was completely mental. Having the 4 blocks in front of me calmed fears of falling on my face, and gave me the confidence to learn fully forward. As a result, I held the longest crow I’ve ever held. Another afternoon, Jack debunked for us handstands, forearms stands, headstands, and shoulder stands. 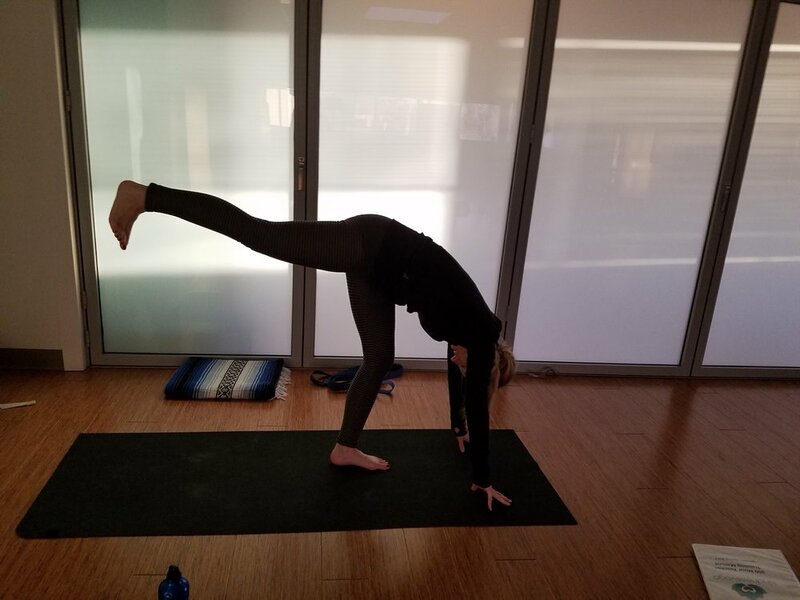 Learning forearm stand ended up being on the the best ways for me to improve my handstands, as it allows me greater stability, while feeling what it's like to have everything from my hips up properly stacked to keep me inverted. The day we learned inversions we spent mostly sitting against the wall to use it as support. For me and a few others one of our favorite activities was getting into groups of two one afternoon, taking pictures of each other doing 10 different poses, then matching up our photos against the pictures of B.K.S. Iyengar in Light On Yoga to see the differences in form. During this exercise it was when I fully realized that sometimes I bend at the back instead of bending at the waist. As Jack once said, “It’s the little things.” This phrase stuck with me, and became more and more apparent to me as true as we learned about the benefits of proper alignment. We also had the great opportunity to learn from guest teachers about other styles of yoga, including Yin, Nidra, Restorative, and pre-natal. During the pre-natal lesson we did with Kristen Boyle, we tied blankets around our waists with straps and practiced yoga that way to feel what it would feel like to do poses with a huge bump. 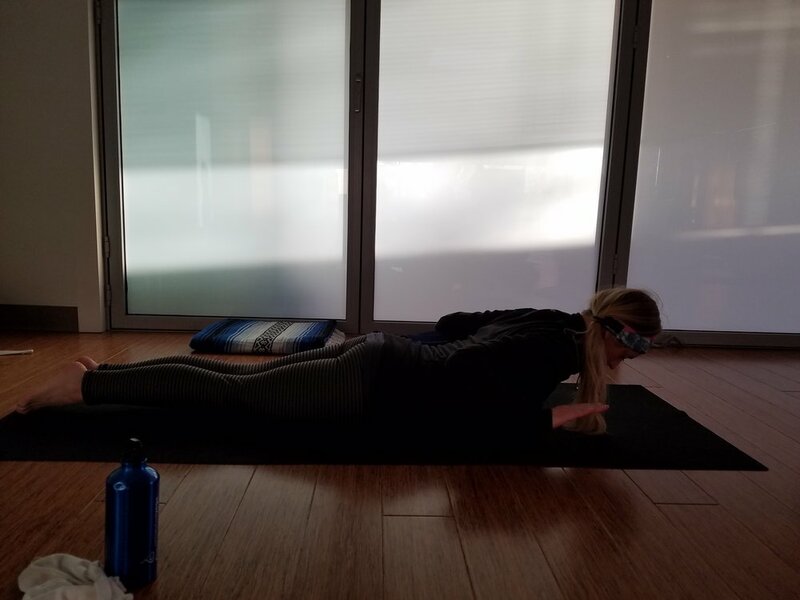 In this lesson we discussed modifications for pregnant women, some poses that are probably best to stay away from, and the whole notion that yoga teachers are not doctors – and shouldn’t be treated as them either when it comes to people’s abilities if they are experiencing complications or are worried about them. The last week of training, we did A LOT of yoga in order to practice our final projects. And on the last two days, we did a total of 5 1-hour classes in order to participate in each team’s final project. It was a bit strenuous, but also a great experience and so fun to see each person rock their part.